India is home to some national parks that have been established in it to preserve the wildlife which is an essential part of nature. Manas National Park or Manas Wildlife Sanctuary is one of these parks that is situated in the state of Assam and rests in the foothills of Bhutan-Himalayas. Coming in the two districts named Baksa and Chirang of Assam state, this park touches the border of the Royal National Manas Park which is situated in Bhutan. Known for being the first reserve under the Project Tiger added in the year 1973, it has a unique landscape and biodiversity that differentiates it from the other such national parks. It all started with a Manas R.F. and North Kamrup R.F. which was declared a sanctuary from 1st October 1928 onwards. The area that this reserve occupied was of 360 sq. Km. ; earlier it was mainly used by the royal family of Cooch Behar and the then Raja of Gauripur for hunting purposes. The area of this reserve was increased to 391 sq. Km. from 360 sq. Km in the year 1950 and 1951. It was announced as a World Heritage Site in the year 1985 by UNESCO and got its biosphere status in the year 1989. In the year 1990, the Panbari R.F., Kahitama R.F., and the Kokilabari R.F. were added which led to the formation of Manas National Park. 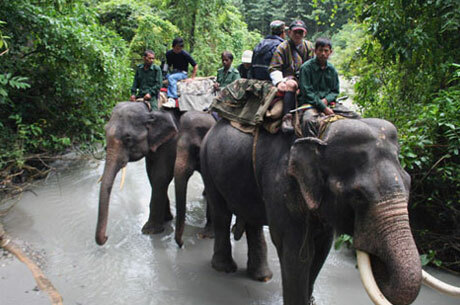 Starting from Sankosh river in the west and spreading till Dhansiri river in the east, it covers an area of total 950 square kilometres out of which the core area which consists of the national park lies is 500 square kilometres. This national park houses two main types of biomes namely grassland biomes and the forest biomes. These both have different kinds of animals and birds that you can see there. While the grassland includes the Wild National Buffalo, Indian Rhinoceros, Bengal Florican, etc., the forest biome consists of the Chinese Pangolin, Slow Loris, Great Hornbill, etc. The minimum temperature that the park has faced has been 15 degrees Celsius while the maximum has hovered around 37 degrees Celsius. This place is under the Ministry of Environment and Forests that comes under the Government of India. Manas National park is vast and accommodates in six districts of – Assam Kokrajhar, Bongaigaon, Barpeta, Malaria, Kamrup, and Darrang. The northern area of the park has deposits of limestone and sandstone. The southern part has fine alluvium. Along with wildlife, you can also find mineral deposits here. One of the rivers that flow through this national park is river Manas, after which it was named, comes from the Bhutan gorges and splits into mainstreams out of which the major one that goes downstream by 30 km is known as “’BEKI”. This river is named after the goddess Manasa and is a tributary of the river Brahmaputra. If you wish to see the forest in its purest form, then the Mathanguri tourist site is the best place for you which is situated at the bank of the Manas river which will take you from the hectic city life into nature’s lap. This park bifurcates into three ranges among which the western range bases at Panbari, the eastern range bases at the Bhuliyapara situated near Pathsala, and the central range that is based at the Bansbari located near the Barpeta road. Visitors are mainly known to spend time at the Matanguri site situated at the border of the country of Bhutan. You will see that the Terai has covered half of its area and Bhabar type grasslands; in addition to this, the areas near the river have been covered by the woodland and meadows of distinct varieties. 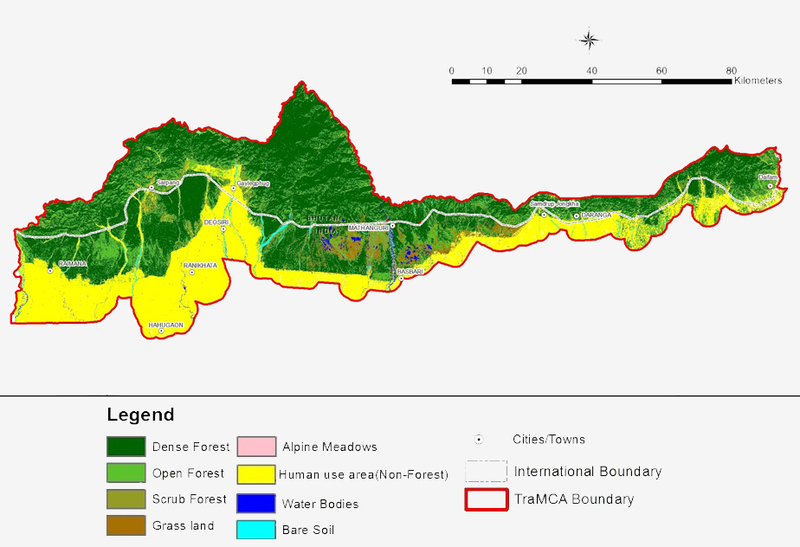 The vegetation here can be divided into four types which mainly includes the Sub-Himalayan Light Alluvial Semi-Evergreen forests that are situated in the northern parts, Low Alluvial Savanna Woodland, Assam Valley Semi-Evergreen Alluvial Grasslands, and East Himalayan Mixed Moist and Dry Deciduous Forest. The woodlands also refer to as the eastern moist deciduous forests which are further bifurcated into different types. There are a total number of 543 species of the plants that have been observed in the core area of the park. These majorly include Dicotyledons followed by the Monocotyledons, Pteridophytes, and Gymnosperms. What makes Manas National Park rare? It is the only place in the world witnessing the merging of the Bhabar and the Terai grasslands with the existence of some species, expanding further to the evergreen forest and then to the Himalayas. As a result of this amalgamation, the biodiversity is extremely rich here. If you are a bird lover, then this place will be a treat for you, the reason being the high variety of winged species that are present here. Bengal florican which is the endangered bird species is found here in the most significant number in the whole world. 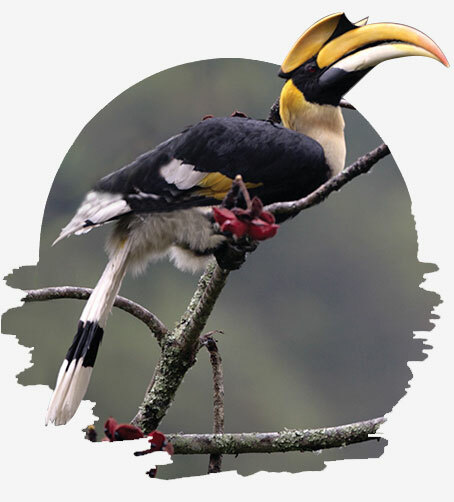 You will also get to see here the great hornbill along with overall more than 380 species of birds which includes Black-Tailored Crake, Bush-Chat, Rufous-Ventec Laughing Thrush, Ibisbill, Swamp Francolin, Red-Headed Trogo, Greater Adjutant, Rufous-Rumped and Bristled Grassbirds, Bengal Florican, etc. A great hornbill also called as the great pied hornbill is one of the most significant members of the hornbill family that you get to see. These are usually found in Southeast Asia and the Indian subcontinent. These are very colourful and big with a typically long life of around 50 years. It is the heaviest hornbill, with eyelashes which are common in all types of hornbills. Male hornbills are more prominent than females and have red eyes, unlike other species which have bluish-white eyes. These are mainly found in Bhutan, Nepal, India, and Mainland Southeast Asia. The primary diet of these birds is mostly fruits with figs forming an important part. However, they may sometimes eat small birds, insects, little lizards, and even small reptiles. These birds are the vulnerable ones listed on the IUCN’s red list of threatened species. You may see these hornbills in the Manas National Park. Swamp Partridge or the Swamp Francolin is said to be a partridge species that are present in the foothills of the Himalaya Mountains ranges currently in Nepal and northern India. They are considered to have extinct from Bangladesh where they were earlier seen in the Ganges-Brahmaputra delta. These birds have been listed as vulnerable on the red list of IUCN. They can easily be recognized and differentiated from the normal partridges on the basis of their long legs and large size. These are mostly found near the rivers; in the high grass, however, they do come to the cultivated areas to feed themselves. If you wish to have a look at these birds, then you may visit the Manas National Park situated in Assam. 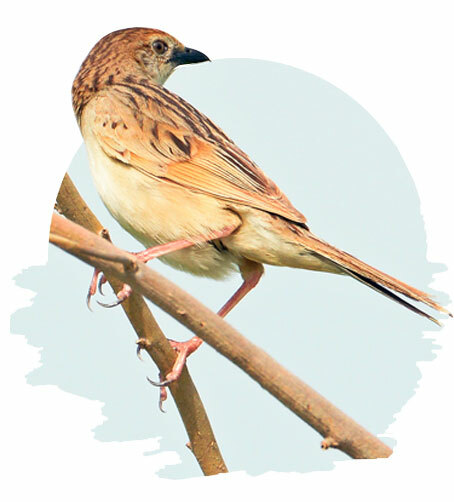 Bristled Grass Warbler or the Bristled Grassbird are the small passerine or perching birds that are mostly found in Bangladesh, Pakistan, Nepal, and India. They have been listed as vulnerable on the red list of IUCN, one of the reasons is that their habitats are in the areas that might be threatened by the human activities making them homeless. There is no confirmation as yet about whether these birds are migratory or sedentary. However, they may move from south to east during winter times. These are large brownish birds that have tails with white tipped feathers. You may get a glimpse of these birds in the Manas National Park while taking a jungle safari. A member of the stork family named Ciconiidae, Greater Adjutant, was once found mainly in southern Asia that too mostly in India with an extension to the eastern Borneo. Today, it is only found at two places in the whole world, one being the Assam and the other one in Cambodia. You can identify these large storks by their wedge-shaped bill, different neck pouch, and a bare head. The main diet of these birds includes offal and carrion. However, they may even sometimes have prey in the form of vertebrates. In Rajasthan, the western state of India, they were seen feeding on the desert locust. They are similar to vultures when it comes to the habit of scavenging; the decrease in their number has been due to the improved sanitation as they also feed on the animal and human excreta. They are currently in the red list of endangered species of IUCN. Manas National Park has been a home for these storks. Bengal Florican or Bengal Bustard belongs to the bustard category with its roots of origin lying in Cambodia, Vietnam, and India. This bird has been listed as a critically endangered bird on the red list of IUCN as they were less than 1000 in the year 2017. The female floricans are more abundant than males and can differentiate by buff-brown colour and some narrow streaks of dark around their neck. These birds are found in the Terai of Nepal, and India. They are usually located on the breeding grounds which are grasslands near the lakes. These birds are most visible in the mornings and in the evening time. The reason behind a decline in their number is the conversion of land for agricultural purposes, poaching, etc. 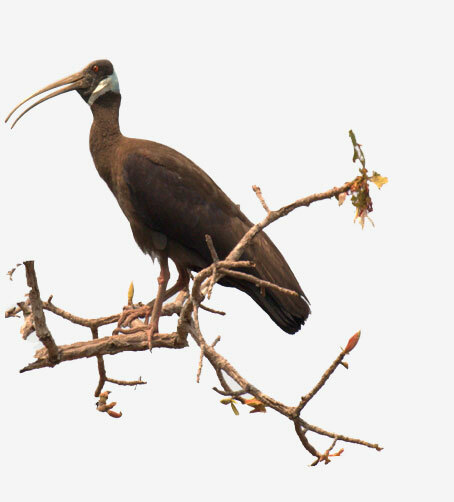 You can find them in the Manas National Park and have a look at these endangered floricans. This park is said to be the place where the last Pygmy Hogs survive in the entire world. These are the endangered species that were earlier spread across Bhutan, Nepal, and India but are now only found in India in its eastern state, Assam. Presently, there are about 150 of them in the entire world. These animals who are considered to be the smallest member in the family of pigs are largely found in the Manas National Park. This has become possible as the continuous efforts that have been put in to conserve this species which belongs to the wild. These 25 cm tall animals are now increasing here in number as recently 110th Pygmy Hog was reintroduced in the wild. This place has proved to be a boon for all these little Pygmy Hogs. These animals can be recognized as small animals with dark brownish skin that might almost appear black. However, as newborn, they are of greyish pink in color which tends to bold with time. Their food includes rodents, insects, roots, tubers, and many times even small reptiles. They are known to breed seasonally before the monsoon time and may give birth to three to six babies after 100 days of gestation time. Assam rabbit or Hispid hare or Bristly rabbit is a Leporidae with origin place being South Asia. These are said to have extended in the southern foothills of Himalayas. 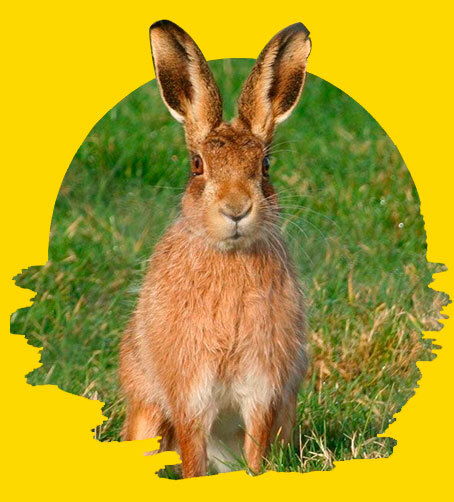 The reason behind the declining number of Hispid Hare was the increase in agriculture, human development, and the measures taken in these areas for flood control. It has been declared an endangered species since the year 1986 on the IUCN Red List. The Manas National Park is one of the national parks that have the presence of these species, and the steps are continuously taken to preserve them and increase their number. These animals are found to be highly active at the time of dawn and dusk and can be recognised by their little ears that are barely visible because of their dark brown and black fur, accompanied by a bit of tail. 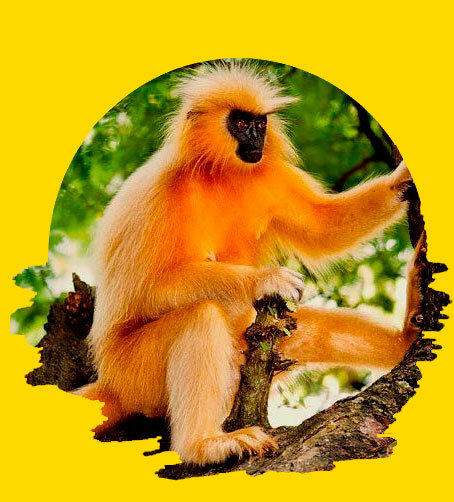 Golden langurs or Gee’s Golden langurs are the monkeys that belong to the old world. These are found in the state of Assam situated in India that too in the Manas National Park. It can also be located in Bhutan in the foothills of the black mountains. These are in the list of highly endangered species among the many ones present in India. These have been considered as the sacred animal by the people. The reason behind them being called the Gee’s monkey is that they were found and introduced to the world in the 1950s by E.P. Gee. They are located in different colours such as golden, cream, etc. with a black face and a very long tail. 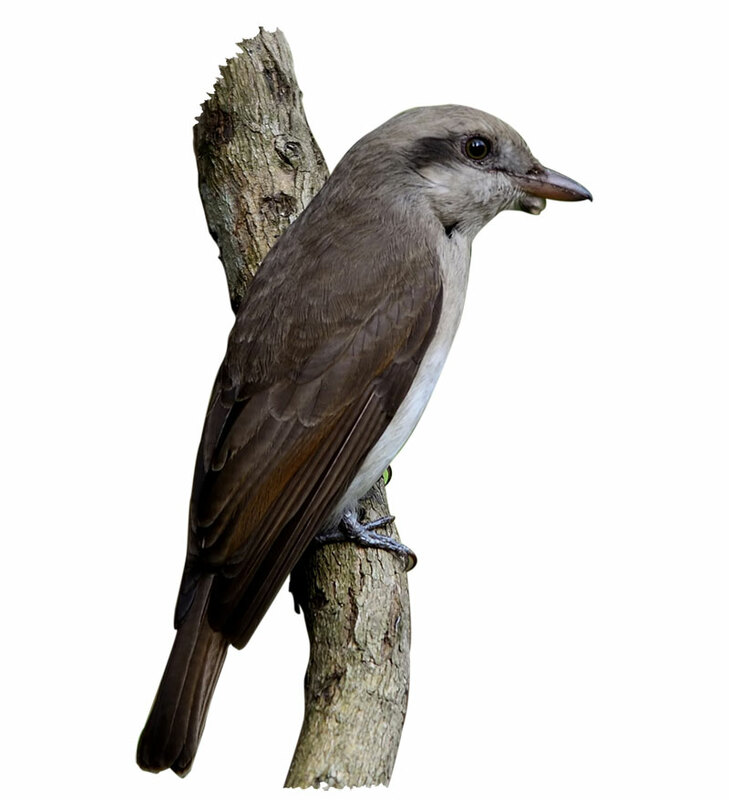 They are mostly found on the high trees and have their tales helping them all the time as a balancer while they swiftly jump from one branch of the tree to another one. They are smart enough to drink water from leaves and the drops on them during the rainy season. These langurs mostly keep themselves full by eating fruits either ripe or raw, seeds, leaves, buds, and flowers. Although they are known to adapt, there has been a decline in their population which makes them an endangered species. Sylhet Roofed Turtle or the Assam Roofed Turtle is one of the species belonging to the turtle family named Geoemydidae. These are mainly found in the Brahmaputra Meghna drainage in India in the state of Assam and some of the parts situated in Bangladesh. 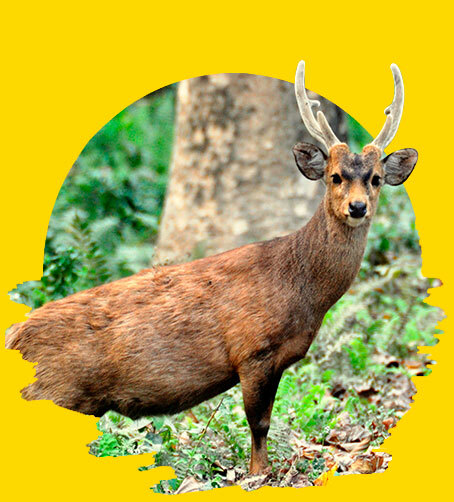 Locally in Assam, this animal is known as the Dura Kaso. These turtles belong to the amphibian family; in the months between December to February, they are known to relax during the daytime. These are shy animals who are mostly found lying on the rocks emerging out of the river. They tend to dive immediately in the river or hide on realising the presence of anyone near. This species is said to be the rarest one found and are supposed to be used for meat and their eggs and may also be further traded. These are the endangered species that are listed by the IUCN. You can find these in the Manas National Park whenever you go on a visit. These rare animals are a sight to behold and may make you smile by jumping in the water abruptly. 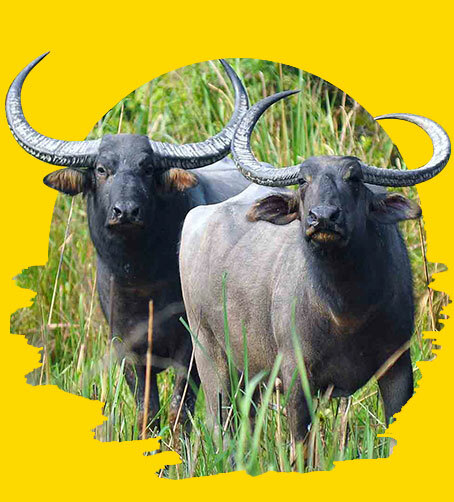 Asian Buffalo, Asiatic Buffalo, Wild Water Buffalo or the Wild Asian Buffalo is a bovine that is large and mainly belong to Southeast Asia and India. This species has been declared as the endangered species in the IUCN Red List since the year 1986. 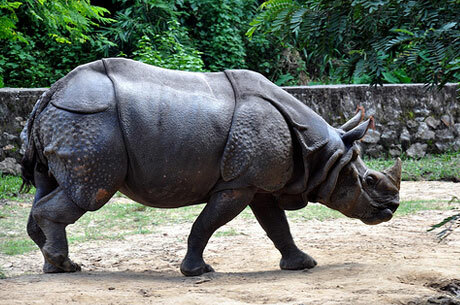 A significant portion of these animals in the whole world are found in Assam that too in the Manas National Park. These buffalos are said to be the ancestors of the domestic water buffalos; however, they are much larger and heavier than the latter and can weigh up to 600 to 1200 kgs. They have a large set of horns and are present in grey and black colours. They are observed to have small ears and a tail with a busy tip. You can see them in different countries such as Nepal, Bhutan, India, Cambodia, Thailand, and Myanmar. Apart from Manas National Park, they are also found in the Kaziranga Wildlife Sanctuary, BuraChapori Wildlife Sanctuary, DibruSaikhowa National Parks, and Laokhowa Wildlife Sanctuary in India. They are known to feed on fruits, shrubs, herbs, and crops. They are vast preys of the tigers, crocodiles, and sometimes even Asian black bears. As a result of hunting, epidemics, degradation of wetlands, etc. has led to a decrease in their number. Red Pandas are mostly found in the eastern Himalayas and the south-western parts of China. They are listed as the endangered species on the red list by IUCN due to a continuous decrease in their number because of inbreeding depression, fragmentation, habitat loss, and poaching. Reddish brown appearance in colour due to its fur and a long tail with shorter two front legs are the features with the help of which you may recognise these mischievous little animals. Their size is around that of a cat that we get to see often. However, they are a bit heavier and more prolonged. These little pandas mainly feed on the bamboo with another diet part including eggs, insects, and birds. These animals are mostly loners who are active from dusk to dawn. The other names of this animal are a red bearcat, red cat-bear, and lesser panda. If you are planning to visit the Manas National Park, then you will get to see it there. These animals are shy and adaptable to living, hunting them is prohibited. Indian Wild Dog, Mountain Wolf, Red Dog, Asiatic Wild Dog, Whistling Dogs are some of the other names by which Dholes are known. It is a canid that majorly belongs to the South, Southeast, and Central Asia. These are endangered species that find a place on the red list of the IUCN. Considered to be a social animal, they are mostly found in large groups and don’t have any individual territories marked. The reasons responsible for the reduction in its number includes the loss in their habitat, survival of the fittest, prey deficiency, diseases, etc. A Dhole has a mixed appearance having a combination of fox, wolf, and cat. Overall the colour is reddish, however, in winters, it seems to be brighter and darker. Their prey includes deer, goats, cattle, water buffalos, etc. typically. Manas National Park has these species in its area which are taken care of by the authorities. Tiger is the most abundant cat species that you will get to see in the whole world. With the scientific name being Panthera Tigris, they are recognised by the yellowish-brown fur that they have with dark black stripes positioned vertically all over them. This animal is predators which mainly have preys in the form of bovids and deer. They usually have a territory marked by them and are seen alone with their hunted prey. It is the national animal of not one but many countries such as Bangladesh, South Korea, Malaysia, and India. These animals are powerful swimmers and sometimes appear climbing trees. 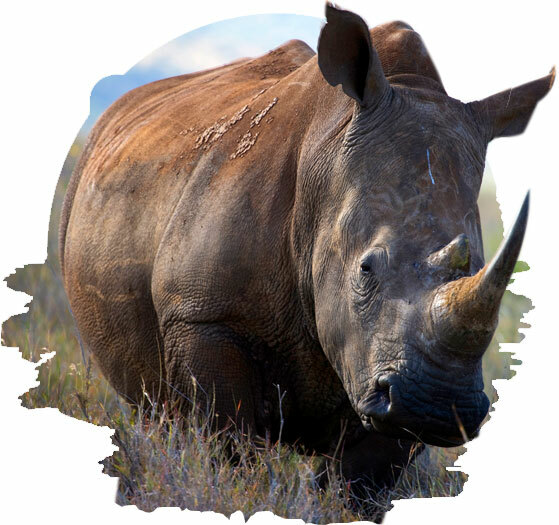 It has been enlisted as an endangered species on the red list of the IUCN owing to many factors such as habitat fragmentation, poaching, habitat destruction, and hunting. Some measures have been taken by the Government of India to conserve and preserve them which includes the tiger reserves. Manas National Park is one of the many tiger reserves in India where you may get a glimpse of them during a jungle safari; it’s all about luck. Malayan Giant Squirrel and the Black Giant Squirrel is a huge squirrel in size which lies in the genus Rafuta. These are found in the forest of China, Myanmar, Malaysia, Bhutan, Cambodia, Vietnam, India, Nepal, Indonesia, and Bangladesh. These have declared as a near threatened species on the red list of IUCN. These can be recognised as larger sized dark brown or black coloured squirrels with a lighter coloured belly. The reduction in the number of these squirrels have been as a result of the timber harvesting, increase in the social area, agriculture, hunting, etc. The diet of these animals mainly includes the leaves, pine cones, fruits, and seeds. These are a rare sight and can be seen in the Manas National Park. Asiatic Golden Cat, Temminck’s Cat or the Asian Golden Cat is the wildcat that is mainly found in Southeast Asia and India. It has been declared as the near-threatened species on the red list of IUCN. Medium in size, the reasons behind there decreasing numbers are a loss of habitat and hunting because these forests in which they are found are facing quick deforestation issue. Heavily built, these cats typically weigh between 6 to 9 kgs. These cats are located in different colours such as grey, black, dark brown, red, golden brown, etc. It may or may not have spots or stripes on their fur, but they have some resemblance to the leopard cats. These cats are found in Nepal, Bhutan, India, China, Sumatra, Thailand, Cambodia, etc. They are mainly found in those areas of forest that are rocky, subtropical evergreen, dry deciduous or tropical rainforests. These cats are loners, have their territories and can climb trees. 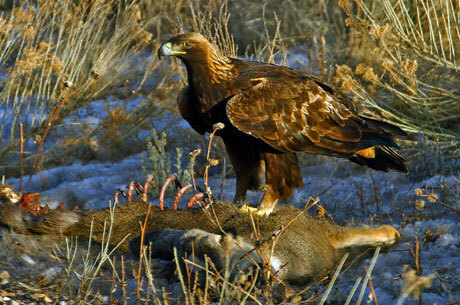 They prey on rodents, reptiles, birds, hares, deer, etc. and have the capability of targeting the animals much more significant than itself. You can see these cats in the Manas National Park because of the favourable climate that it offers. With the presence of some endangered species of animals and birds, Manas National Park has become a must-visit park in India. It is a home for some of those creatures which exist only here and that makes it all the more special. By air: You may reach this park by taking a flight to Guwahati airport which is the nearest airport to this place. Almost all the domestic airports connect to it, and the international airport that is linked to it includes Bhutan and Bangkok with flights twice a week. By train: Manas National Park is 176 km. from Guwahati which is considered to be the gateway of North-East India. Almost all the main cities of India are connected to this city. You can also find some trains that are available which halt at the Barpeta road railway station from which the Bansbari is 22 km by road. By road: The national highway road no. 31 joins the Barpeta road to Bansbari. However, if you are travelling from Guwahati, the journey to this place takes 5 hours. To enjoy the vast landscape and wildlife in Manas National Park, you can also have jeep safaris. The safari is generally of three hours and is done in two slots — one in the morning from 9 am to 12 pm and second from 2 pm to 5 pm. The safari also has charges included, for Indians it is Rs. 120 and for foreigners it is Rs.750. To make your experience even more fun, they have elephant safaris. You can watch the whole jungle hustle sitting on the elephant’s back. The safari becomes all the more exciting and adventurous. The entry fee for elephant safari is Rs. Five hundred for Indians and Rs. One thousand five hundred fifty for foreigners. Water bottle- The safari is three hours long and happens in the afternoon. You should bring a water bottle to keep you hydrated. Binoculars- The birds and insects are difficult to spot and so carrying a pair of binoculars will allow watching the creatures at a closer distance. Sunscreen- The weather can be terrible for your skin, and you should always carry a sunscreen. It will safeguard your skin from sun and dust. Map- A guide is going to be there but having a map makes the adventure more fun as you can mark your ways. Camera- The camera has charges applied on it, but you don’t want to miss taking the photos and putting it up in your memory wall. Carry one camera and click good pictures of wildlife and landscape. Hat- It adds a more professional look and protects you from harsh heat waves; it’s not just a luxury, but a necessity. The best time when you can visit this national is from November to April. During these months, the park is opened up daily for the visitors. You may also visit some parts of it in October and May when it is partially open. It remains closed from June to September. 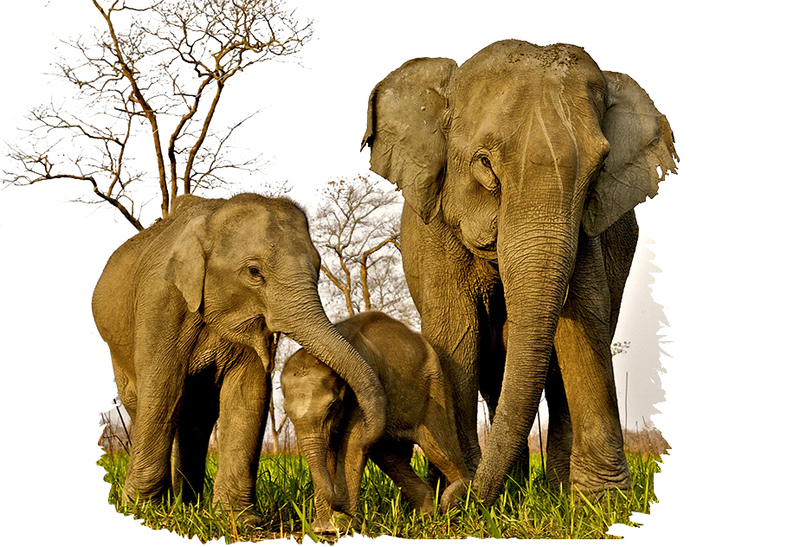 Looking to book a Safari in Manas National Park ? Our wildlife experts are here to help.